Custom Blinds, Shades, Shutters & More! Creative Interiors Design offers a wide range of window treatments including blinds, shades, shutters, sheers, and honeycombs. Our window coverings will enhance your home decor, preserve natural light, and increase accessibility with automation. Creative Interiors Design is a locally owned and operated business. Here you will find great window fashions for all the rooms in your home and great people with the knowledge and expertise to help you along the way. Creative Interiors Design offers in-home consultations, where we bring the showroom to you! We also offer after-hours appointments to meet your schedule and needs. Contact us today to book an appointment! 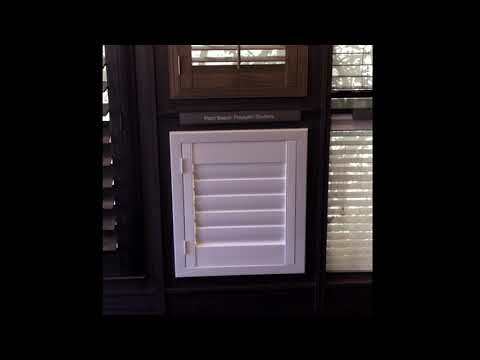 See Hunter Douglas PowerView Motorization in action! Used with Palm Beach PolySatin shutters, they can open or close your window treatments via Pebble remote, smartphone or smart home devices. Hunter Douglas PowerView Motorization can be added to almost any window treatment. 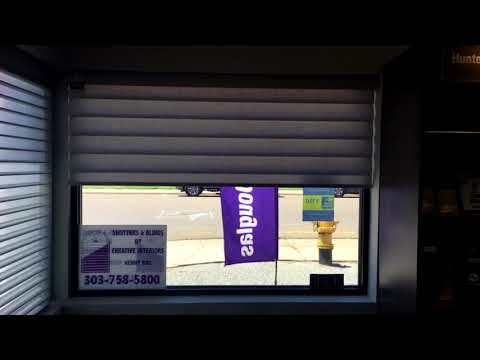 See how remote controlled Pirouette shades can automatically raise and lower at certain times of the day to protect your furniture and home from sunlight and remove glare. Explore creative ideas and smart solutions for your windows with our online brochure. It's the ideal introduction to Hunter Douglas window coverings, available at Creative Interior Designs. Creative Interior Designs offers a large selection of custom Hunter Douglas window treatments, including sheers and shadings, honeycomb shades, shutters, horizontal blinds, vertical blinds, Roman shades, roller shades, and woven wood shades. We proudly serve Denver, Colorado and the surrounding areas. Please contact us, and let us know how we can help you.